If you are looking for information on how to set up a webinar then you have come to the right place. You need to make sure that you have done everything necessary and have everything you need for this to run smoothly. You are going to need to do your research on the best webinar platforms before you can even set up your webinar. Hosting a webinar is a great idea as it can bring you closer to people, allowing you to share live video with your audience, and it gives you the opportunity to explain a detail in more topic. 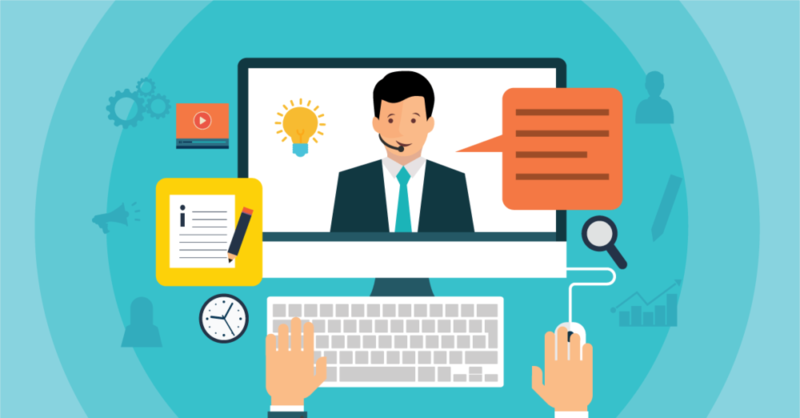 If this sounds like something that you want to do, but you’re not sure how, follow this guide and you will be well on your way to understanding how to set up a webinar. What we mean when we say platform is the where you are going to be hosting your webinar. Some of the best webinar platforms include YouTube Live if you are looking for something that is free. You might know this by its previous name, Google Hangouts. Or, you might want a premium platform, and the best webinar platforms that you have to pay for include GoToWebinar. The paid platforms like the one we just mentioned may be a little pricey for some people, but it is used by a some of the specialists in the field. To know how to set up a webinar, you first need to understand what platform you need based on what you are hoping to get from it. You will usually have a maximum number of people allowed to attend your webinar session, and if you use GoToWebinar then the starting amount is 100 people. Don’t worry if this number sounds a little low, because when you are starting out, this is going to be plenty. But, there are always the free options that you can use, although this means that you are going to have to work out the tech side of hosting the webinar on your own. Some people spend too much time trying to find the best webinar platforms when they are just starting out. You can always change this a little later if you need to, so don’t worry too much about it now. Just ensure that when you are learning how to set up a webinar, you take the time necessary to familiarize yourself with the platform. You are going to want to know who is attending your webinar live session, and to do this you need a registration. When you are learning how to set up a website there are a variety of tools that you can use for registration, and one of these is Leadpages. If you want to grow your email list so that your webinars become more popular as time goes on, Leadpages is a good tool to use. It doesn’t just have to be used for registration either, it can also be used for landing pages. When you are looking at how to set up a webinar, you need to have a tool like this to which will give you templates to use and customize. Without this help, you could find it difficult to get a registration page that grabs people’s attention. Whether you want to speak directly to your audience through a camera, or you would rather prepare a presentation in advanced to share on your screen, you are going to have to make it compelling. It depends on your target audience on which method you should use, and when you use the best webinar platforms you will be able to do anything you want in regards to presenting your content. You should be aiming to keep the design of your slides simple if you choose to do a pre-written presentation so that people can understand the message. One of the things to be careful of though is to ensure that you have the copyrights of any images that you use. This can get you in a lot of trouble if you don’t, and you don’t need this, especially when you are still learning how to set up a webinar properly. The next step is to make sure that the best webinar platforms you are using are connected to your email marketing provider. When you’re exploring how to set up a webinar this is a crucial step. It will allow you to gain access to email addresses through the marketing tool and build up an email list that you can fallback on. How you do this will be determined by which of the best webinar platforms you have chosen to use. For instance if you’re using GoToWebinar, you can connect with LeadsBridge. Alternatively, for Youtube Live, the integration options provides possibilities on how to set up a webinar with this type of connection. There are a few email templates that you are going to need to set up when you are learning how to set up a webinar. The first one that you are going to need is a thank you email. These are going to be sent out when someone subscribes to your webinar. It is always nice to show the people that you appreciate them. If you don’t do this, people are not going to feel valued by you, and may even unsubscribe. You are also going to need a couple of reminder emails. For example, one day before the event, one hour before, and a final ten-minute reminder. Sending out these emails is going to ensure that the most people watch. Busy schedules often get in the way of people joining your webinar as they could forget, but by sending out the reminders, you are giving people the most opportunities to join you. The final template that you should have is a thank you for attending email. Learning how to set up a webinar can take time, and could go on even after you have hosted your first one. Sending out a thank you is going to make your customers feel great about choosing to attend your webinar. You can also allow people to replay your session, and send them a link through email to do this. If you are going to be selling a product through your webinar, then you should think about adding a few more emails to this list. Set up them up via your email marketing tool so that they are ready to be sent when you need them. If you use the best webinar platforms, you are going to have more people attending, and therefore more people to sell your product to. If you’re wondering how to set up a webinar, it’s important that you have the right tools in place. This includes a microphone and a webcam. A key mistake that users often make is relying on a mic that is built into the computer. A quick mic test on your computer will tell you that this won’t provide the right sound. Moving away or towards the computer will also change the sound levels and you don’t want that. This will mean listening to your webinar is irritating but that’s easily avoided. You can get a range of different microphones that provide a crystal clear mic. The best webinar platforms will also provide you clear information on whether they are providing the right sound. For your cam, you might be able to rely on the one built into your computer. However, you may want to check the quality first. If you don’t have an HD cam even the best webinar platforms won’t be able to boost the quality of your webinar. Once your webinar is ready to go, you might be tempted to send it out immediately. When you’re looking at how to set up a webinar some articles fail to mention the testing phase. However, this is a crucial part of the process if you are keen to ensure that your webinar goes off without a hitch. Get started by checking out your presentation as well as your emails and any apps you’ll be relying on. It’s crucial that everything is working effectively but the best webinar platforms won’t let you down. The best webinar platforms also ensure that making these checks are easy and that you should have no worries when you’re finally ready for launch.